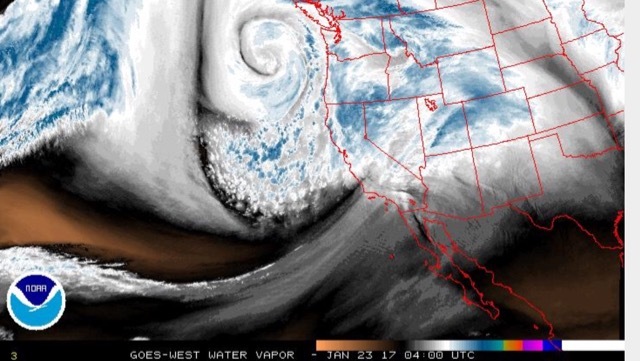 The Pacific high finally broke down in later January 2017 to allow a series of storms to deliver much-needed rainfall to the Ventura River watershed. 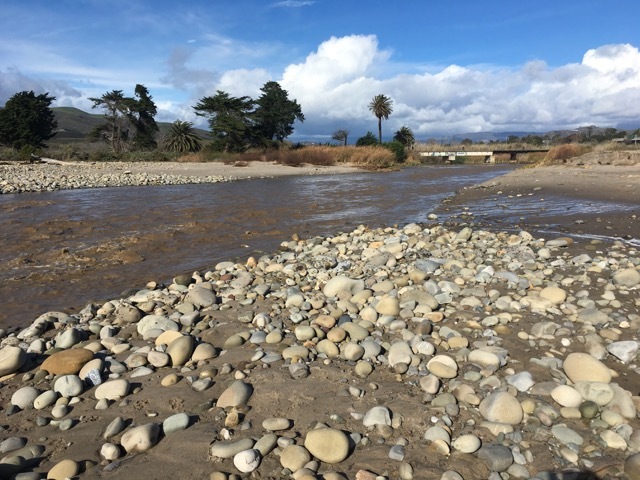 Totals of up to 5 inches for the storms, and 15-20 inches for the season, brought the river back to life after five years of prolonged drought. 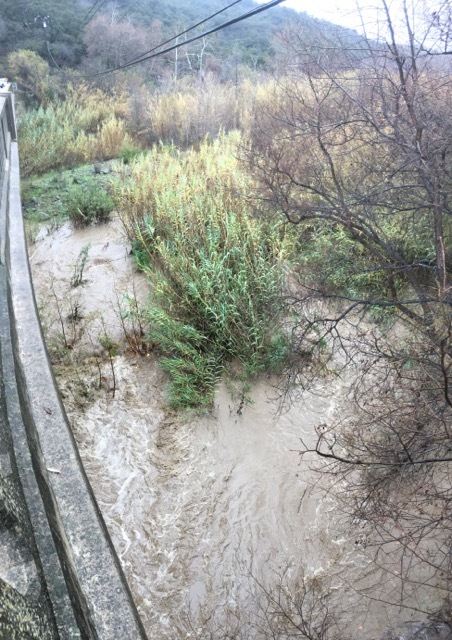 The video shows the first "flush" of water as it passes under the Foster Park bridge and flows rapidly rise. 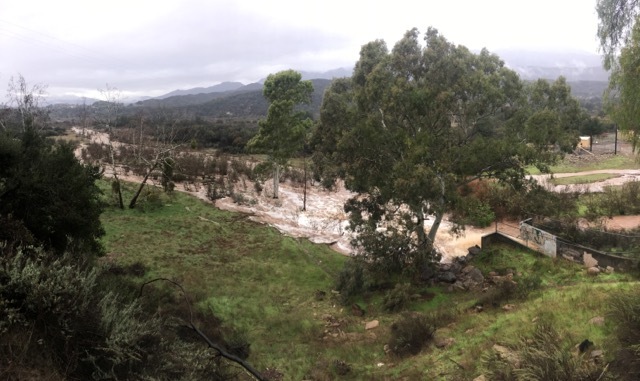 If you listen carefully you can hear the Arundo snapping as the flows surge downstream for the first time since 2011. 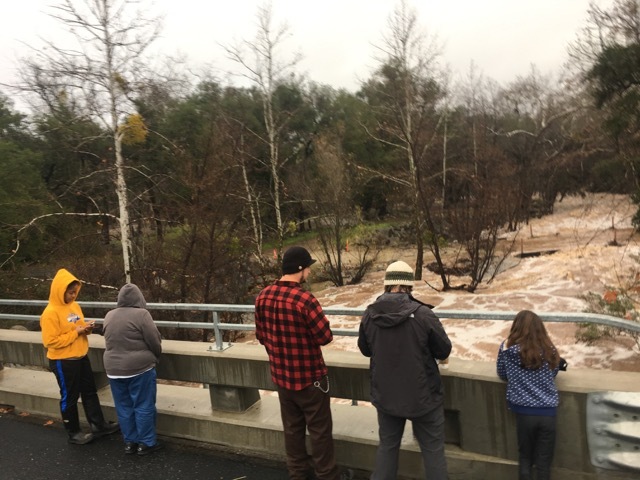 Sunday's storm was the bigger event, and once the rains stopped many people went out to witness the river come back to life. 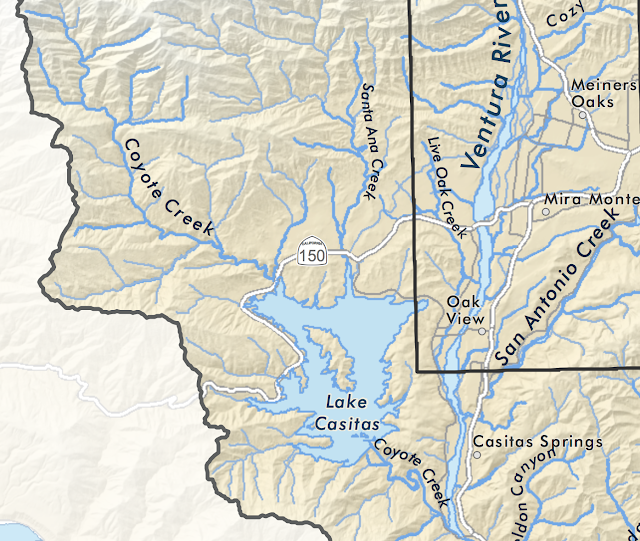 The three main inflows to Lake Casitas are Santa Ana Creek, Coyote Creek, and the Robles Diversion which delivers water diverted from above the Ventura River Preserve. 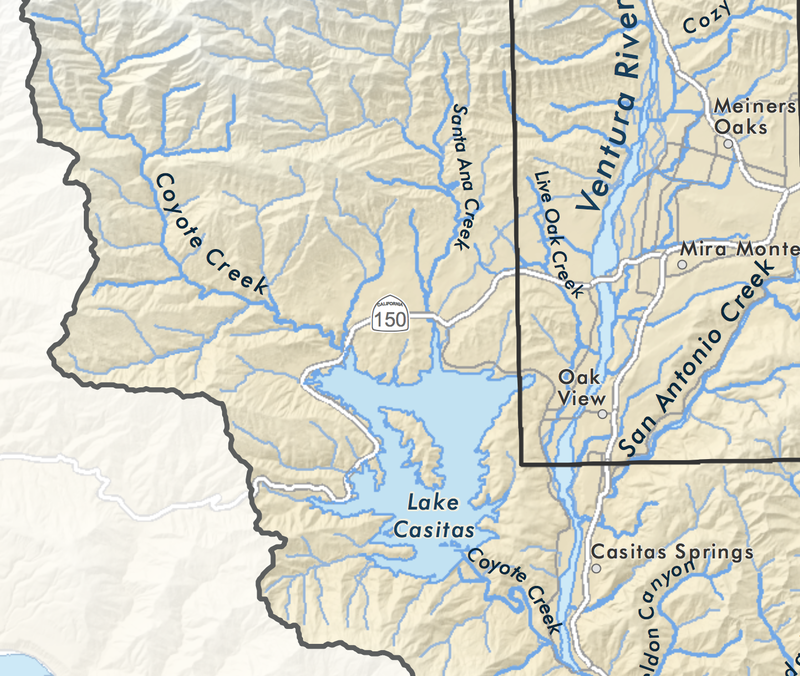 Of the three, Coyote Creek appeared to deliver the largest inflows. 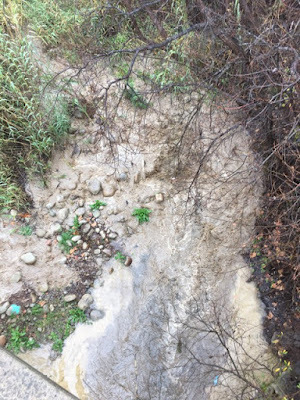 Erosional waves were calving off large sections of the steep creek banks, certainly contributing sediment to the lake. 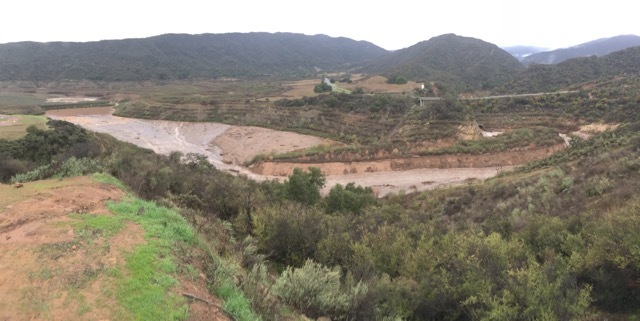 Water from the Ventura River is redirected into the Lake via the Robles Canal and the local watershed. 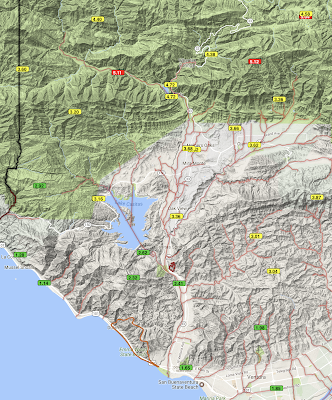 The latest rain event has produced the largest diversions since 2011. 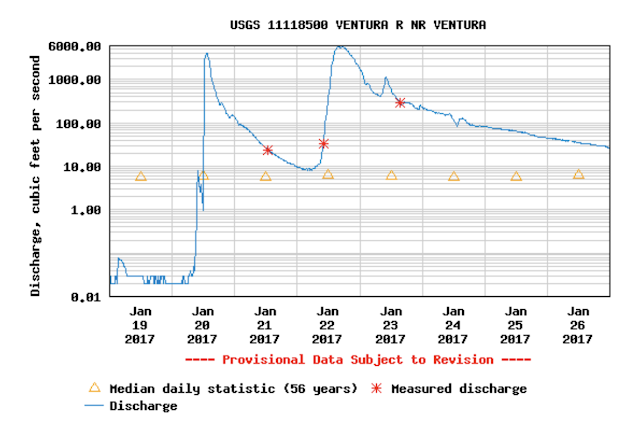 Flows in the Ventura River need to be maintain for a given period before diversions can occur. 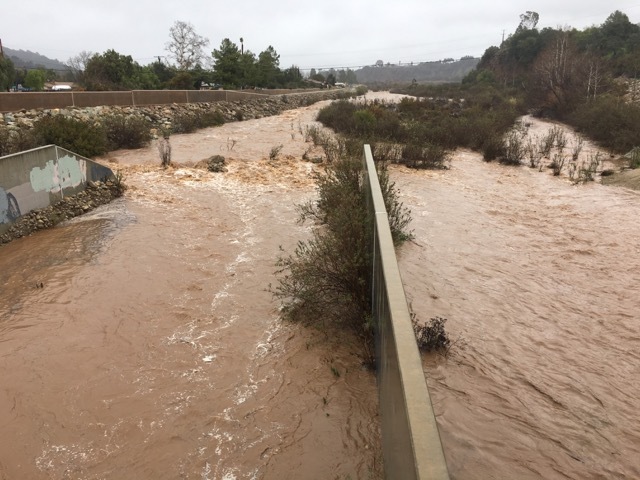 This is due to regulatory requirements related to fish and other water agencies downstream that rely on the rivers flow as well. 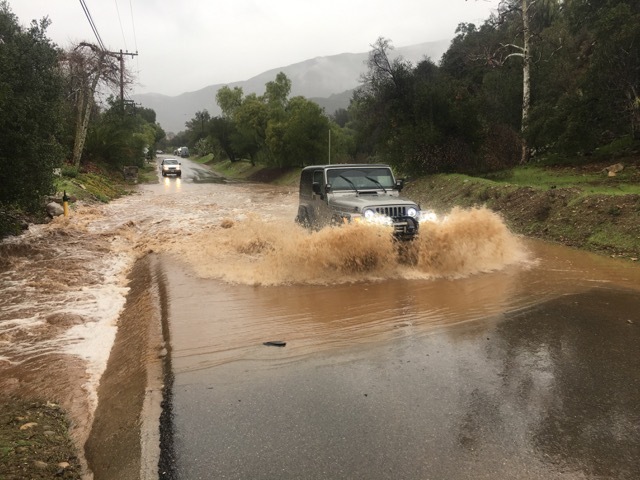 Diversions lasted for little more than two days, starting on Sunday, January 22, 2017, resulting in increasing lake volume from 35.3 to 36.7%. We will need a lot more rain this year before we are able to recover from the last five years of drought. Continued water conservation needs to be maintained. 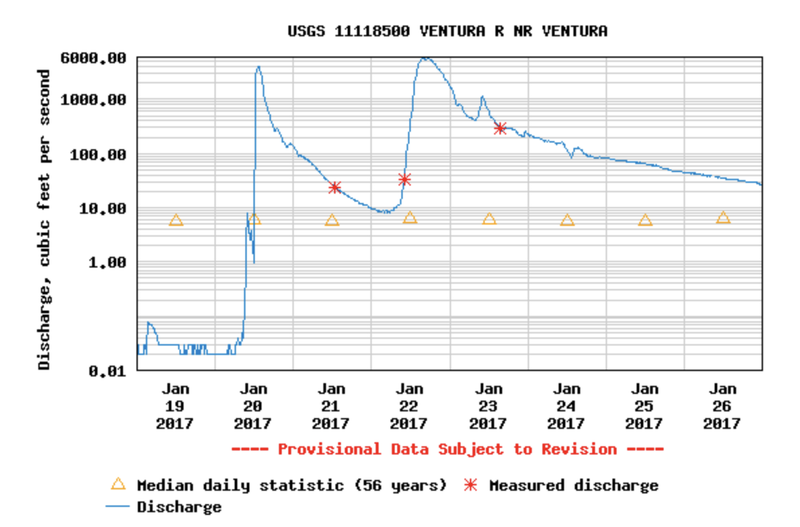 This hydrograph illustrates how quickly the river rises in response to a storm. It also shows that now that the ground is saturated the "base flow" of the river in response to this series of storms is maintaining at a level greater than had we only had Friday's rains. 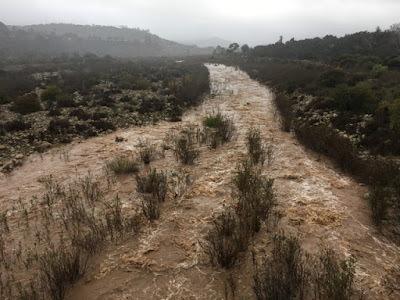 Following the storms Casitas Water District reported a 3 ft rise in lake level, and the Ventura River Water District reported an 8 ft increase in groundwater levels. 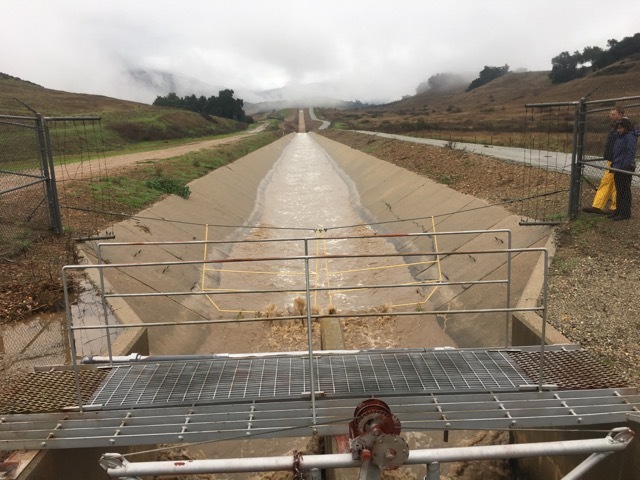 This represents the beginning of a recharge cycle, and as long as the river and creeks are flowing we will continue to recharge our water supplies. And of course this flush was enough to open the river mouth and put a bit more sand and cobble on the beach!